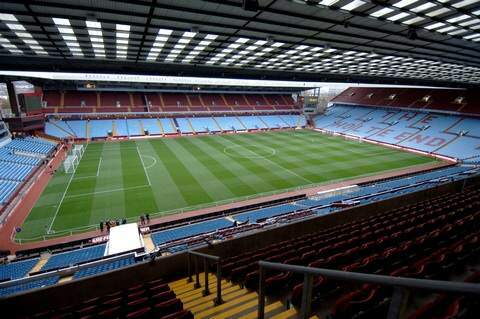 Aston Villa are traveling to Carrow Road this weekend’s Premier League game. Both teams haven’t had the best of starts to this year’s Premier League season. Norwich are sitting 15th with 4 points, while Aston Villa are 17th with 3 points from 4 games. Both these teams invested heavily in the summer, with arguably Norwich being the more ambitious team this summer. Norwich have spent heavily on 3 new forwards and new midfielders in an effort to make Norwich more potent in attack. It has worked, Van Wolfswinkel, Elmander, Redmond and Fer have all scored for Norwich in either the League Cup or Premier League. Aston Villa’s new signings have been slowly gelling and only Luna and Okore have started for Aston Villa this season. Last weekend, Aston Villa lost at home to Newcastle 2-1 while Norwich lost 2-0 to Tottenham. Aston Villa have also lost key defender Okore, who is injured for the remainder of the season. Meanwhile, Gary Hooper is nearing full match fitness for his new club and may feature in Saturday’s game. Norwich get their majority of points at home, meanwhile Aston Villa collect the majority of their points away. It’s safe to say that this game promises goals. Paul Lambert also returns to his former club which he left controversially last July. Gary Hooper is expected to feature after recovering from a shin problem that has postponed his debut. Meanwhile, Ryan and Elliott Bennett will miss out who are sidelined with a knee injury. Aston Villa will be without Jores Okore who is out for the remainder of the season after a ligament injury. Ciaran Clark is expected to fill in. Nathan Baker has also recovered from an ankle injury he sustained during the weekend. N’Zogbia remains a long-term injury. Villa have collected the most yellow cards (13) in the Premier League this season, but have also seen their opponents receive the most too (12). Aston Villa won on both visits to Carrow Road last season: 4-1 in a League Cup quarter-final last December, and then 2-1 in the Premier League in May when Gabby Agbonlahor scored his second goal of the game in the last minute. Norwich, like Villa, have yet to lead at half-time this season. I’m going for a draw, however I think the result will really depend on how Paul Lambert set’s his team up. I think Aston Villa can beat Norwich but under the condition that Bennett is brought back into the side, Tonev is given a chance out wide and Helenius plays behind Benteke. This add’s pace and strength into our attack. I know that Delph, Westwood and the defence can cope with Norwich’s attack. But I do expect goals in this game and Gary Hooper may spring a surprise or too, I’d also really watch out for Nathan Redmond, he was superb against Southampton and will cause us problems out wide. I was going to write a bit of a come back to balance out the negative comments that have come out since the final whistle, did we loose or something??? anyway I cant be arsed, im off to the pub. You’ve got to have a bit of patience with any new player coming into a new league – it takes time to settle! If we give the new lads a hard time, it will only make things harder for them. Get behind them with a bit of positivity! Every player has off days too. Suddenly Lowton has gone from hero to Villain after one below par performance. Cut the lad some slack!